When it comes to golf socks not just any type will do. As we all know, golf is a game where walking and standing will be required to be done for long durations. With that in mind, it is essential that golfers have a comfortable and reliable sock to make sure that playing golf will not have any unwanted problems regarding their footwear. The best golf socks also ensure that players will not be distracted and can focus on their swings for the best results. Material – Always check to see if the sock is made from 100% cotton. Cotton is a breathable fabric which means your feet will not feel stifled. This is extra important for male golfers as men’s feet sweat more. For added benefit, pick extra absorbent socks. Size – Know the size of your golf shoes before purchasing a golf sock. Golf socks are sized by the shoe size. To ensure that your sock will fit comfortably then first check to see what is the size of your golf shoes. Design – Of course, wearing golf socks that compliment your golf gear is also important. For example, if your golf shoes are black then your golf socks must also be black or has a darker color. Now that you know the important factors to look for when buying golf socks, we have listed down the top 5 best golf socks you can find today to further help you choose the best one. The Swiftwick socks use high grade material that helps assist comfort and movement. It is made of Nylon (50%), Repreve (30%), Olefin (16%) and Spandex (4%). What makes this sock great is that it is an all around sport socks. It enhances comfort when standing and moving thanks to its medium foot bed cushion, medium compression and a 3 point arch support. It assists the way you stand to make sure that specific parts of your feet will have the appropriate support to avoid strain. The Swiftwick socks also helps prevent blisters and has an effective moisture wicking quality as well as antimicrobial properties. As the socks are chemical free with no dyes used, you are guaranteed that you won’t have any negative skin reactions when using the Swiftwick SUSTAIN ZERO socks. 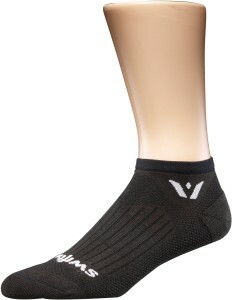 Buy the Swiftwick SUSTAIN ZERO Socks here! This sock certainly earned all the praises that was given to it. The Kentwool socks offer one of the most comfortable experiences of any golf/sports socks that we have reviewed. The thick wool material used with the Kentwool makes it perfect for use in cold weather but it is also quite breathable in sunnier climates that it does not degrade the comfort level at all. The soft wool material also helps prevent blisters from developing on the feet. 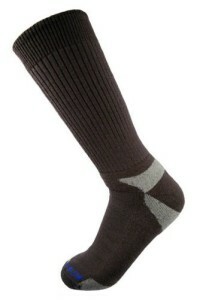 uy the Kentwool Men’s Tour Standard Socks here! CEP Men’s Progressive socks are made of two high grade materials: polyamide (85%) and spandex (15%). It is designed to be right and left specific which means that it offers equal comfort to both feet, whichever your best foot is. 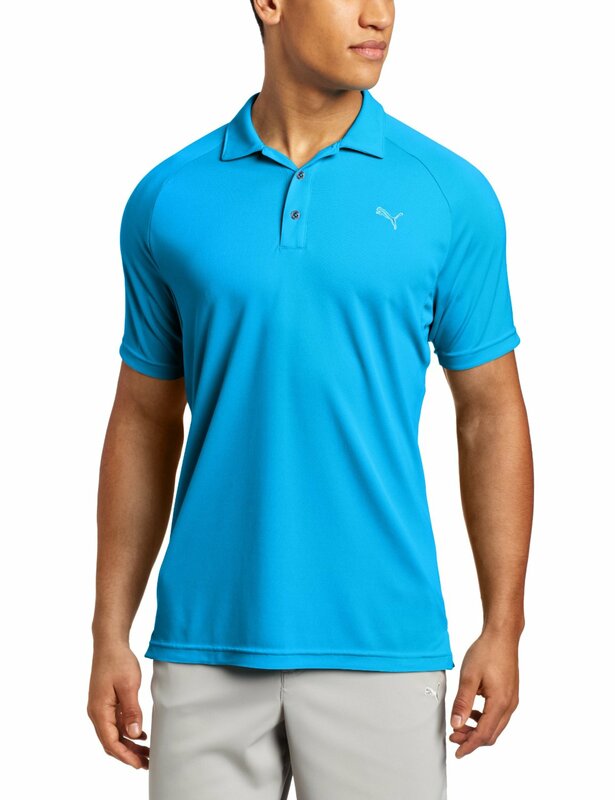 It has gender specific sizing as well so both men and women golfers can find the best size for them. As this is made in Germany you are guaranteed of its superb durability and if that is not enough, the socks also offer a 30 day guarantee. This is extremely comfortable and tough and is one of the most reliable best golf socks available today. Buy the CEP Men’s Progressive Golf Socks here! Another highly rated sports/golf socks today is from the Point 6 brand. The Point 6 Active Light Micro Socks is one of the finest one around with its exemplary underfoot cushion that helps prevent straining the heels. It uses merino wool which prevents it from slipping and offers top quality traction. It prides itself with developing a unique design that will feel snug and comfortable to all types of feet. It offers an exquisite and comfortable experience that will surely leave you in approval. Point 6 is one of the fastest rising golf and sports sock manufacturer and it is easy to see why as this are without a doubt one of the best golf socks available in the market at this moment. 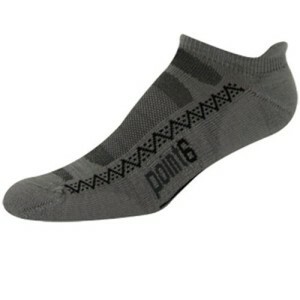 Buy the Point 6 Men’s Active Light Micro Socks here! As the name suggests the Darn Tough Vermont Men’s Socks are, well, tough. It uses Merino Wool (69%), Nylon (27%) and Lycra (4%) for the perfect blend of durability, flexibility and breathability. It uses a high density cushion on the soles that helps absorb shocks and impacts. Walking will feel like gliding with the Merino Wool Boot Full Cushion socks. The socks are also custom shrink treated so that you will not have to worry of shrinkage and with the reinforced heel and toe ensures that the sock will last a long time even with prolonged use. It also utilizes an elastic arch support that helps provide support for your feet. The ring toe is a great addition to further enhance comfort without giving an awkward feel with the added seam. 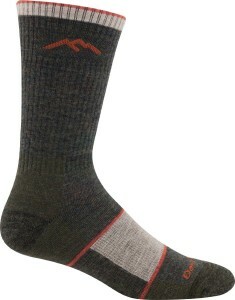 Buy the Darn Tough Vermont Men’s Merino Wool Boot Full Cushion Socks here! Golf socks are essential when playing golf. It may not be able to positively affect your game significantly but in the long run you will appreciate well-made and comfortable socks after hours of standing up and walking. The best golf socks must have superb comfort, extreme durability and elements that specifically target issues that are relevant with the activities that the socks are made for. Having a great golf sock can only enhance the enjoyment you will experience while playing this game.